A fun collection of 20 short texts to help Intermediate and Upper-Intermediate students. 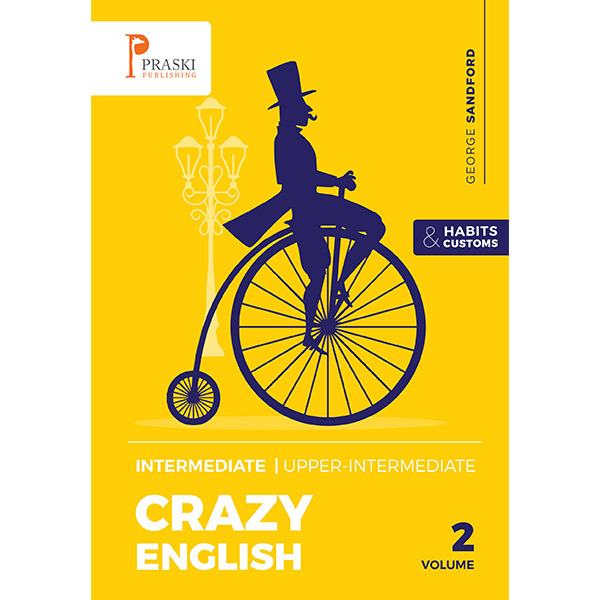 Crazy English Habits and Customs is a fun collection of 20 short texts to help English learners, Intermediate – Upper-intermediate, to find out all about the eccentric aspects of English culture, customs and habits. It is both entertaining and practical and includes tests, answers, vocabulary and phrases.